Add support and warmth to muscles and jointareas. 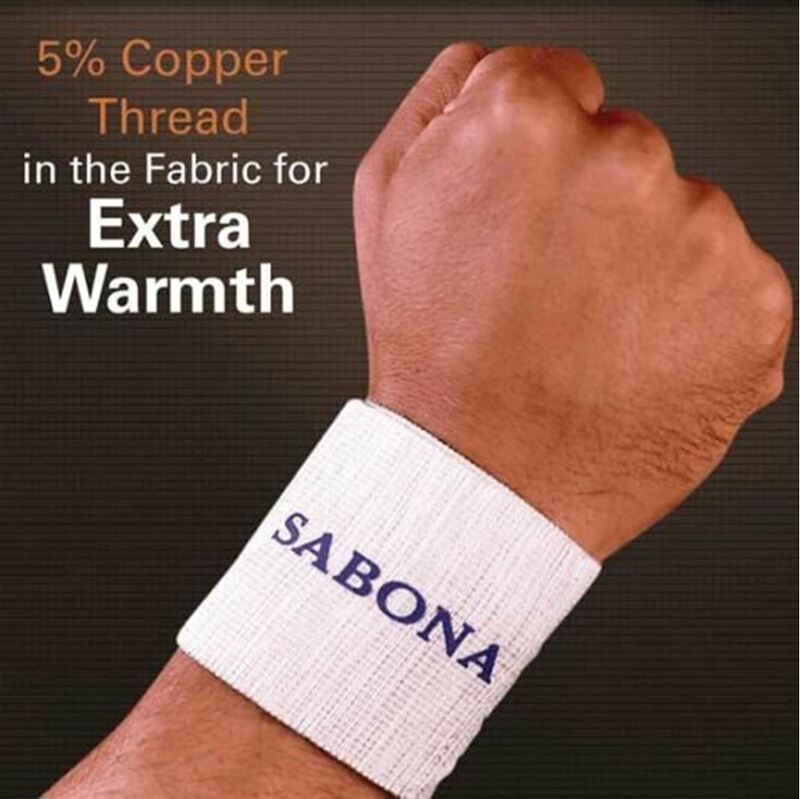 Includes Thermal Cooper Insulation (TCI) which plays an important part in the recovery process.TCI with added Sabona copper thread is woven into a special blend of fabrics.The copper in the TCI conducts natural body heat, and as the body warms the copper, it in turn retains the heat generated and stores it within the fabric. Measure at Wrist for sizing.